Historically, insomnia has been thought of as secondary to other disorders such as depression. The idea was that you became depressed – and that your sleep got messed up as a consequence. This might involve difficulty falling asleep, excessive time awake at night or waking up earlier than hoped. This may make sense to those who have experienced depression and found that thoughts of distressing events such as of a deceased loved one, or previous failures, keep them awake at night. The possibility that depression leads to insomnia is also consistent with research in which I have been involved – where we found that adults with insomnia were more likely than others to have experienced anxiety and depression earlier in life. But could things really be the other way around? Could poor sleep be making you depressed? 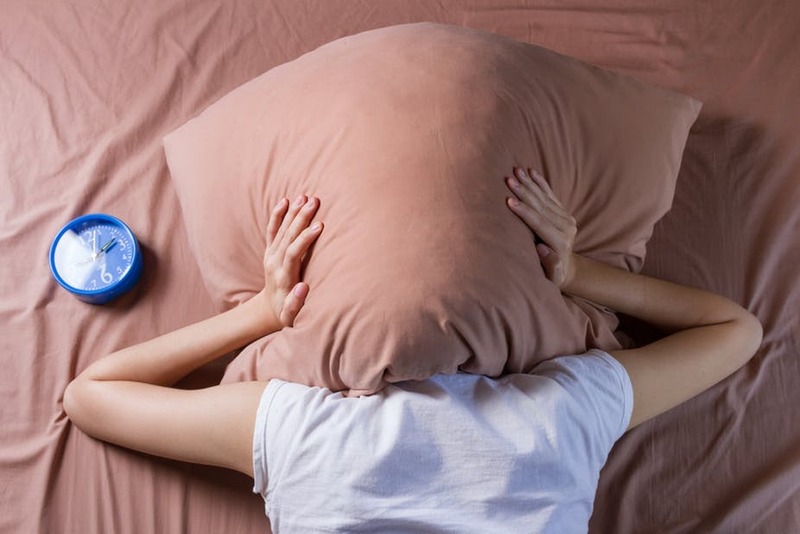 Over the past decade or so it has become increasingly clear that disturbed sleep often comes before an episode of depression, not afterwards, helping to do away with the notion that sleep problems are secondary to other disorders. This is not too hard to relate to either – just think about how you feel after you have slept poorly. Perhaps you feel tearful or snap at those around you. The literature seems to back up the idea that our ability to regulate our emotions is reduced after a bad night’s sleep. Insomnia has also been shown to predict depression defined according to diagnostic criteria. So why does poor sleep lead to depression? Lots of different mechanisms have been proposed. To give just a few examples, let’s start by thinking about our behaviour. I, for one, am more likely to cancel an evening out with friends or an exercise class after a poor night’s sleep. This could be part of the problem, as such events are exactly those that may help to keep depressive symptoms at bay. If we think about what happens to the brain when we miss sleep, there are clues as to why sleep and depression are linked. One study on this topic focused on an area of the brain called the amygdala. This is an almond-shaped structure located deep in the brain that is believed to play an important role in our emotions and anxiety levels. It was found that participants who had been sleep deprived for approximately 35 hours showed a greater amygdala response when presented with emotionally negative pictures when compared to those who had not been sleep deprived. Interestingly, links with parts of the brain that regulate the amygdala seemed weaker, too – meaning that the participants were perhaps less able to control their emotions. Such findings could help to explain how poor sleep may actually cause difficulties such as depression. Over the years, my own work has taken a behavioural genetic perspective in an attempt to understand the links between poor sleep and depression. From my twin research and work led by others it seems that poor sleep and insomnia symptoms could be, to some extent, part of the same genetic cluster – meaning that if we inherit genes which make us susceptible to insomnia, we may also be vulnerable to depression. When trying to explain the link between sleep and depression, I’m also intrigued by recent work on the immune system and depression. Studies have found that those suffering from, or at risk of, depression may show high levels of inflammation in their bodies. Their immune systems appear to be in hyper-drive as if they’re fighting infection or healing from injury. When we disturb or restrict sleep we may also experience inflammation, so perhaps inflammation could also help to explain the link between sleep and depression. So what can we do about it? It has been proposed for some time now that by improving sleep we can perhaps prevent or treat depression. Recently, data have started to emerge from studies suggesting that this may indeed be the case. For example, researchers at the University of Oxford in collaboration with the psychological therapy provider Self Help Manchester evaluated whether an online treatment for insomnia reduces symptoms of anxiety and depression. They advised people with these difficulties to take steps such as keeping a consistent wake time, getting out of bed when they can’t sleep, and challenging beliefs that a bad night’s sleep is incapacitating. They found that both anxiety and depression symptoms were reduced after insomnia treatment. Other groups are currently looking at whether by improving our sleep we can reduce other types of psychiatric difficulties, too. But even before this work is complete, the take-home message from research to date is clear: we need to begin to prioritise our sleep.